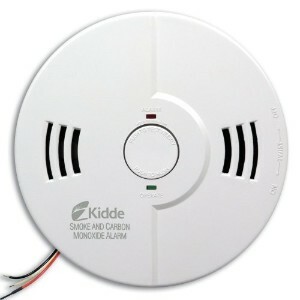 The Kidde KN-COSM-B carbon monoxide and smoke alarm combines two important safety devices in a single unit. It can easily be mounted on the ceiling or on the walls thus reducing the installation time and helps to keep home décor attractive. The alarm includes a loud and clear voice warning system that announces “Fire, Carbon Monoxide, Low Battery” and “Smart Hush Activation”. The voice alarm eliminates confusion and clearly warns you and your family of a smoke or carbon monoxide danger, or if your battery or device is in need of replacement. This technically advanced combination alarm is battery operated, protecting you and your family even during power outage. This device is suitable for all living areas and has a 7-year shelf life and a 5-year limited warranty. This device is suitable for all living areas and has a 7-year shelf life and a 5-year limited warranty. This smoke alarm uses ionization sensing technology. Ionization sensing alarms may detect invisible fire particles (associated with flaming fires) sooner than photoelectric alarms. The device is provided with two LEDs - flashing green for normal operation and flashing red for alarm conditions. This device ensures that the unit cannot be accidentally mounted without batteries being installed. The sensor is very sensitive and detects even the hint of smoke from cooking pans thus requiring frequent attention to push the hush button to silence non-emergency alarms. It is a high battery consumption device that needs frequent battery replacements, but is still considered economical by many keeping their family safety in mind. Some reviewers also noticed that the device either stopped working after the first battery change or was chirping continuously every 30 seconds due to malfunction. 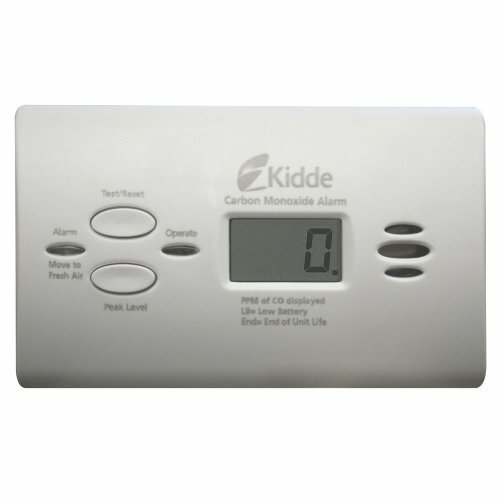 Overall, the Kidde KN-COSM-B Combination Carbon Monoxide and Smoke Alarm is a perfect combination of safety and temper-resistant features, beautiful neutral white finish and value for money and thus is a highly recommended smoke alarm unit. This combination smoke/CO alarm is UL listed, so you can be confident of its quality, and it is backed by a five-year limited warranty. 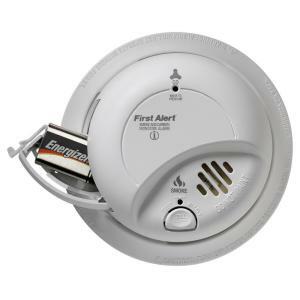 The First Alert Double Sensor Battery – Powered Smoke and Fire Alarm is equipped to detect smoke particles caused by both flaming and smoldering fires. The dual smoke sensors with both photoelectric and ionization smoke sensing technology helps determine the difference between non-threatening conditions and real emergencies. It also features a convenient single button operation for testing or muting non-emergency alarms. This unit gives an easy access to battery door, enabling easy battery replacement without completely being removed from the ceiling. It uses two AA batteries (included). However, like most of the alarm devices this unit also chirps frequently and gives false alerts. Some also felt that the alarm sound produced is muffled and might be difficult for elderly individuals to listen and react accordingly. Overall, the First Alert Double Sensor is a recommended unit for single floor houses for its easy to use functionality and affordable price. It is backed with 10 years warranty and meets UL217 standards. The Kidde KN-COSM-IB combines carbon monoxide and ionization smoke alarm, providing two important safety devices in a single unit. It requires hard wire installation powered by home’s electricity in order to provide continuous protection. It easily mounts on the ceiling or wall and comes with a front loading battery installation. This speeds up replacement process by eliminating the need to remove the unit completely and re-installing. 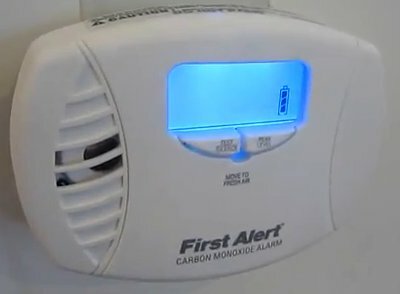 The alarm includes a voice warning system that helps eliminate confusion, as it tells you if its detected fire or carbon monoxide, if it needs a new battery or end of life alarm. The alarm also allows you to easily silence nuisance alarms using its convenient Smart Hush feature. This alarm has 9 volt battery backup, which protects you and your family even during a power outage. This talking combo alarm is powered by your home’s electricity and can interconnect with other smoke alarms in your home. Experts recommend interconnected alarms, because when one sounds, they all sound, providing an early warning against fire by dramatically increasing your ability to hear an alarm anywhere in your home, regardless of where the danger starts. The device is provided with two LEDs - flashing green for normal operation and flashing red for alarm conditions. However the only concern with the unit is sometimes it chirps non-emergency alarm even 30 seconds even after installing new batteries. Overall, the Kidde KN-COSM-IB combined with safety and a temper resistant feature is perfect dual detector alarm at a reasonable price. 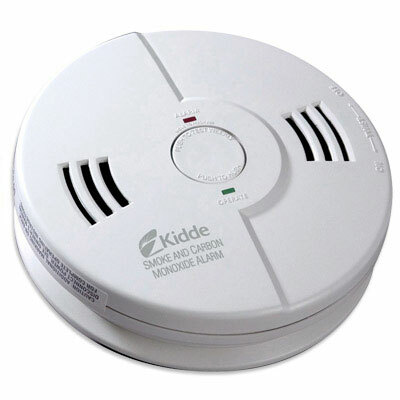 Kidde i9040 Fire Sentry is battery operated single station smoke alarm that utilizes ionization sensing technology. This compact unit is 4 inch in diameter, giving it a discreet design and clean looks. It is powered by a 9 volts battery and installs quickly without wires. This easy to install unit includes a test button that allows you to periodically check the circuitry, horn, and battery function. Also, a chirping sound makes it clear when it is time to replace the battery. This unit is UL Listed and includes a shelf life of 10 years and a 3 years limited warranty. Kidde strongly recommends that both ionization and photoelectric smoke alarms be installed to help insure maximum detection of the various types of fires that can occur within the home. 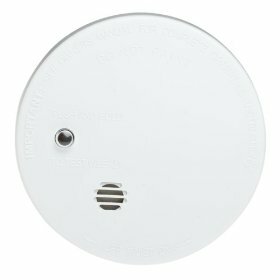 The i9040 is not a dual sensor fire alarm and its test button is very loud. Overall, the Kidde i9040 Fire Sentry is a highly recommended basic alarm system for its easy to use features and affordable price. 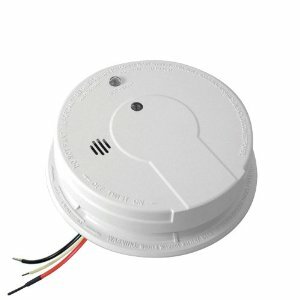 The Kidde i12040 is an AC/DC powered, ionization smoke alarm that operates on a 120V power source with 9V battery backup. The battery-backup feature (9-volt battery included) provides protection even during power outages. The smoke alarm can be installed on any standard single gang electrical box, up to a 4” octagon junction box. The electrical connection (to the alarm) shall be made with a plug-in connector. This alarm is also compatible with older model mounting bases and thus is very easy and quick to setup or replace. The smart interconnect system connects with up to 24 Kidde devices--including other smoke alarms plus carbon monoxide and heat alarms. By pressing the hush button, you can easily and safely silence nuisance alarms caused by non-emergency situations, such as overcooked dinners. The alarm includes a test button that will electronically simulate the presence of smoke and cause the unit to go into alarm. By pressing the hush button, you can easily and safely silence nuisance alarms caused by non-emergency situations, such as overcooked dinners. The alarm includes a test button that will electronically simulate the presence of smoke and cause the unit to go into alarm. This sequence tests the unit’s electronics, battery and horn to ensure proper operation. The unit has red and green LED indicators. The green LED (when illuminated) indicates the presence of AC power. The red LED (located under the TEST/Hush button) has four modes of operation: Standby Condition, Alarm Condition, Alarm Memory and Smart Hush Mode. Overall, the Kidde i12040 is an easy to install, safe and secure smoke alarm with very reasonable price for its various features. This smoke alarm is available in a 6-piece cut case with tray for easy display as well as a 6-piece bulk pack for contractors and property owners. This unit is a UL Listed product with a 10-year limited warranty. The First Alert CO605 Plug-In Carbon Monoxide Alarm with Battery Backup and Digital Display helps protect you and your family from the deadly threat of carbon monoxide. This carbon monoxide alarm with battery backup and backlit digital display easily plugs into any standard outlet with no additional mounting necessary. Battery backup ensures alarm works even during power outages. Easy view backlit digital display ensures viewing of danger, current or peak CO levels. The device illuminates hazard level when in alarm mode or when any button is pressed. It also features a single button to test and mute unnecessary or non-emergency alarms. Remote mute silences nuisance alarms by pressing any button on a standard household remote control (remote not included). The device also features low battery signal indicator and a CO level indicator which automatically resets to zero every 24 hours. Also the end of life timer chirps when it is time to replace the device. It includes 2 AA batteries and meets UL 2034 standards. However, the major concerns seen in this device is its flimsy battery door made of cheap plastic. However, the major concerns seen in this device is its flimsy battery door made of cheap plastic. Sometimes the battery door does not close properly. The device is 2 inches thick and does not give it a compact look. Overall, the First Alert Plug-In Carbon Monoxide Alarm with Battery Backup and Digital Display is an easy to install, UL listed alarm that combines advanced technology with user-friendly design and reasonable pricing. This Carbon monoxide detector utilizes electro-chemical sensor for increased accuracy and comes with 7-year limited warranty. 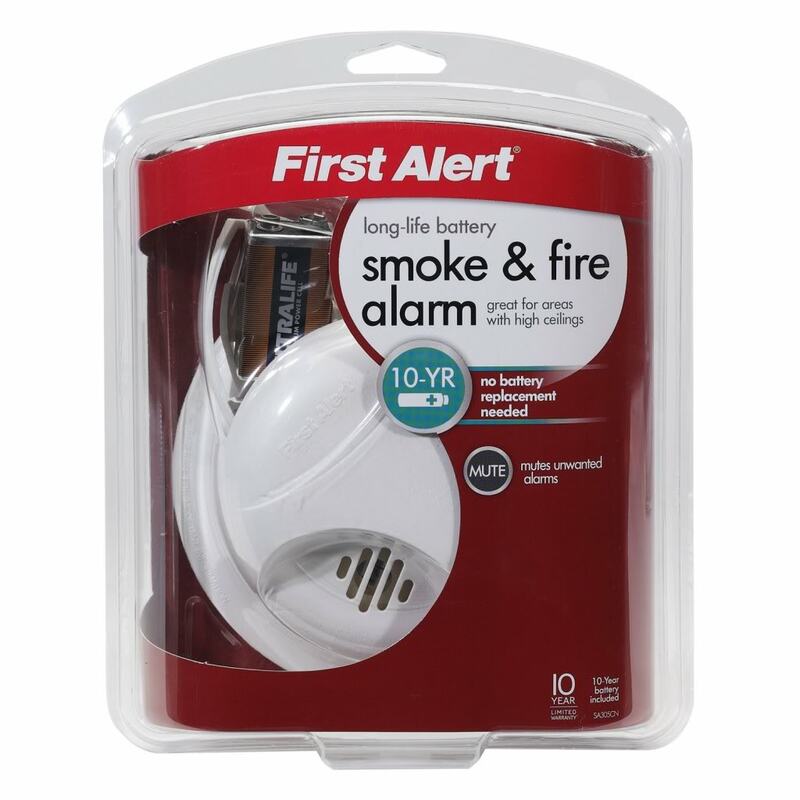 The First Alert Hardwired combination smoke and carbon monoxide alarm, wires directly into your home's electrical system and the 9 volt battery backup ensures your safety even during power outages. This unit is equipped with ionization technology and an electro-mechanical sensor which is more effective at detecting flaming fires for comprehensive protection. It has separate visual and audible warnings for smoke and carbon monoxide detection. This device is microprocessor controlled for fewer nuisance or non-emergency alarms. This unit can be interconnected with up to 18 other compatible smoke alarms and 6 compatible devices like bells, horns, door closers etc. It is advised to place at least one Combo unit in hall ways or open areas by interconnecting it with smoke detectors in bedrooms for additional safety. The latching alarm indicator remembers which unit initiated an alarm. This device also features test and silence button to cease a non-threatening alarm or low-battery warning which allows testing the unit’s operation. The low battery chirp and missing battery tab alerts the need of a new power source. The battery door and mounting bracket lock system makes it tamper resistance and it backs itself with a 7 years limited warranty. However, some common concerns from this unit are – chirps low battery or false alarms especially after battery replacement, some malfunctioned units failed to detect the CO levels where as testing them ensured they were functioning properly. 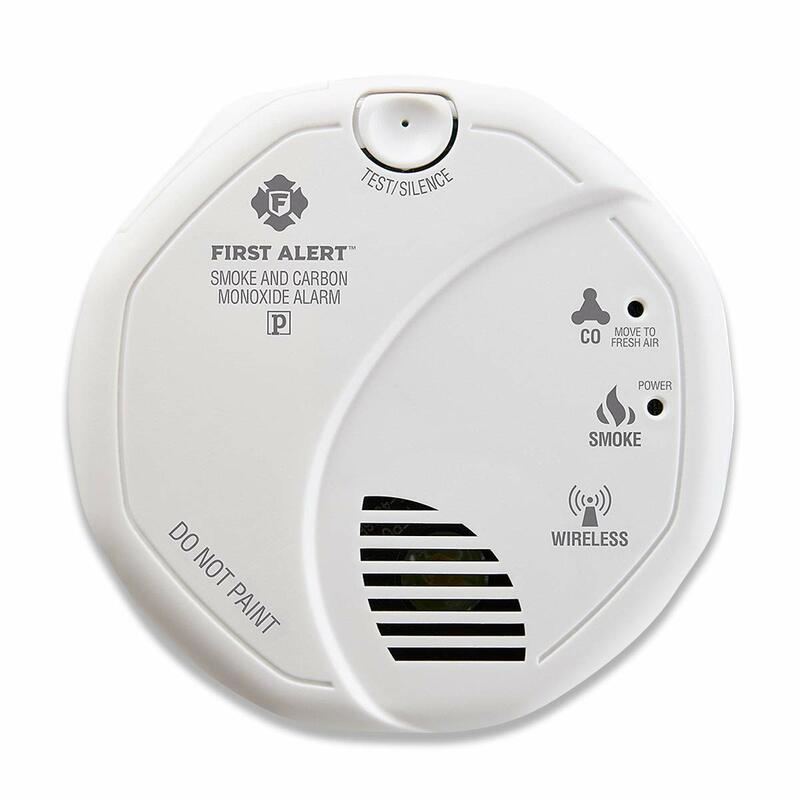 Overall, the First Alert Hardwired Combination Smoke and CO alarm with Battery Backup is a good device for smoke detection and protection from CO in your home. This combo unit is recommended for its reasonable price backed by its easy to use safety features. 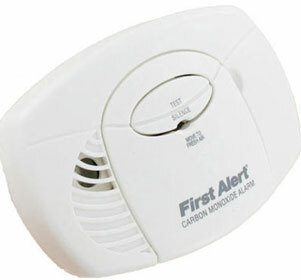 The First Alert Battery-Powered Carbon Monoxide Alarm is an easy to use CO detector that uses an electro-chemical carbon monoxide sensor, which is the most accurate technology available. It can detect the CO you can't see, smell or taste in the air. A single button tests alarm functions and mutes nuisance or non-emergency alarms. With battery backup, you will have peace of mind that the alarm will continue to work even during power outages. An audible and visual low battery signal alerts you to replace the battery. Its attractive, compact and pleasing design is ideal for placing in all visible location with no installation required. The easy loading front access battery door allows you to quickly and easily change 2 AA batteries. 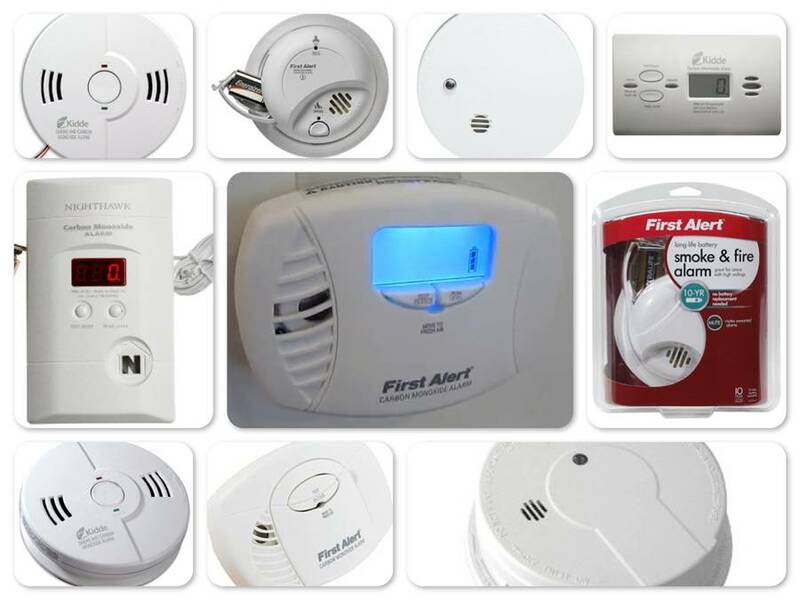 The First Alert Battery-Powered Carbon Monoxide Alarm is an easy to use CO detector that uses an electro-chemical carbon monoxide sensor, which is the most accurate technology available. It can detect the CO you can't see, smell or taste in the air. A single button tests alarm functions and mutes nuisance or non-emergency alarms. With battery backup, you will have peace of mind that the alarm will continue to work even during power outages. An audible and visual low battery signal alerts you to replace the battery. Its attractive, compact and pleasing design is ideal for placing in all visible location with no installation required. The easy loading front access battery door allows you to quickly and easily change 2 AA batteries. It’s backed with a 5-year limited warranty and meets UL standards and is code compliant. However, the major concern faced with this unit is the battery door mechanism. The flimsy battery door is made of cheap plastic material. The plastic latch breaks off easily if closed without installing the batteries (No such warning is mentioned with the device) or sometimes the door did not close securely thus leading to malfunction of the device. Overall, The First Alert CO400 battery powered carbon monoxide detector is a recommended, easy-to-install, user friendly device that combines advanced technology at reasonable price for maximum protection. The Kidde KN-COPP-3 Nighthawk Plug-In Carbon Monoxide Alarm with Battery backup and Digital display is an easy to install unit that provides reliable protection against the dangers of CO. It features a digital display that shows CO levels in parts per million allowing you to see if, how and when the levels change. The Nighthawk includes a 9 volts battery backup that provides continuous monitoring of CO levels, even during power outages. This alarm gives you 3 mounting options: direct plug to a power outlet, a 6’ power cord or use it as a table top. With the KN-COPP-3 Nighthawk, you never have to wonder if the sensor is functioning properly. A blinking dot in the lower right-hand corner of the display denotes normal operation, so you can trust that it's working. In addition, you can test alarm function by pressing the test/reset button at any time to verify that the horn and electric circuitry are operating properly. The unit includes a peak level memory feature that will store the peak CO level sensed since the unit was last reset. The unit also features a low battery warning system. This unit requires a fully charged battery even when plugged in the outlet. 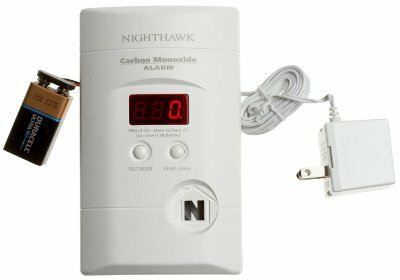 Overall, the Kidde KN-COPP-3 Nighthawk Plug-In CO alarm is highly recommended for its safety features and reasonable price with a shelf life of 7 years.